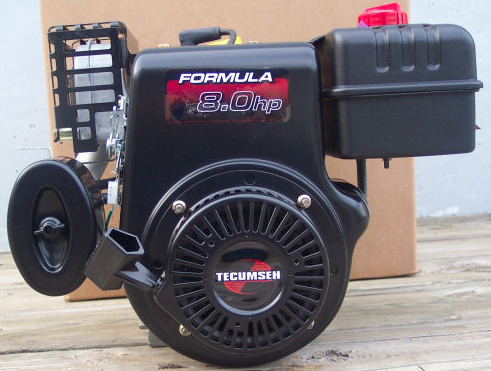 The Tecumseh HM80 is a medium sizes horizontal 8 HP engine with Mechanical Compression Release. This engine contains a float carburettor with choke and bowl drain. The engine is started via an easy pull recoil starter and electronic CDI ignition system. The engine cylinder sleeve is cast iron and the muffler is aluminium. The Tecumseh HM80 engine is used for snow blower, snow thrower, lawn mower and generator applications.While operating HM 80 engine it is advised that high quality and clean detergent should be used. High quality engine oil helps in getting smoother performance and longer life. The fuel that is required to be used with the Tecumseh hm80 engine should be unleaded premium or unleaded regular fuel. You should avoid using leaded fuel as it can lead to severe damage from inside. With proper and regular usage of fuel and oil this engine can deliver optimum performance. 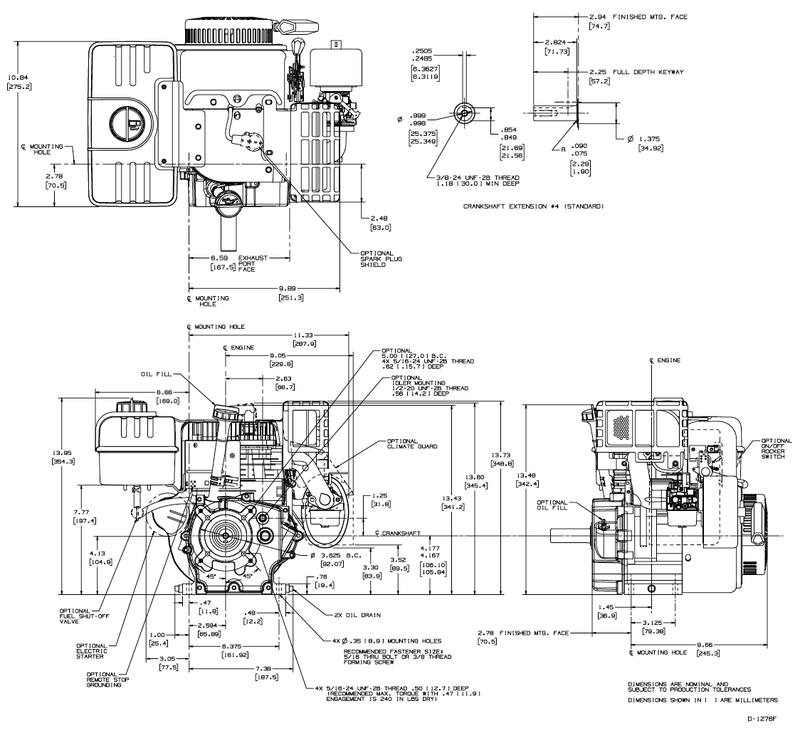 This 8 Horse power engine offers 19.41 Cu in displacement and has got 26 Oz oil capacity. Bore & Stoke 3.1250" x 3.125"
Bolt Mounting Circle 3.625" x 5"
Valve Clearance 0.008" - 0.012"
Valve Seat Width 0.042" - 0.052"
Valve Guide Oversize Dimension 0.3432" - 0.3442"
Crankshaft End Play 0.005" - 0.027"
Crankpin Journal Diameter 1.1860" - 1.1865"
Crankshaft Main Bearing Diameter 0.9985" - 0.9990"
Crankshaft P.T.O Main Bearing Diameter 1.1870" - 1.1875"
Camshaft Bearing 0.6230" - 0.6235"
Connecting Rod Diameter Crank Bearing 1.1880" - 1.1885"
Piston Diameter Bottom of Skirt 3.1195" - 3.1205"
Ring Groove Side Clearance Bottom Oil 1st and 2nd Comp. 0.002" - 0.005"
Ring Groove Side Clearance Bottom Oil Bottom Oil 0.010" - 0.020"
Piston Skirt Clearance 0.0045" - 0.0065"
Ring End Gap 0.010" - 0.020"
Cylinder Main Bearing 1.0005" - 1.0010"
Cylinder Cover / Flange Main Bearing Diameter 1.1890" - 1.1895"
The Tecumseh HM80 has a number of applications including Yard Pro lawn mowers, Ariens Sno-Thro snow throwers, Coleman Powermate portable generators, Garden Way rototillers and mini-tillers, Bolen’s tractors and snowthrowers, and Generac generators. This website offers exploded parts lists for your HM80 engine.